The 'Metro DC For Sale' Team – MD/DC/VA Real Estate Experts | Call 301-REALTOR (301-732-5867) to put the Washington DC area's TOP Realtor team to work for you! 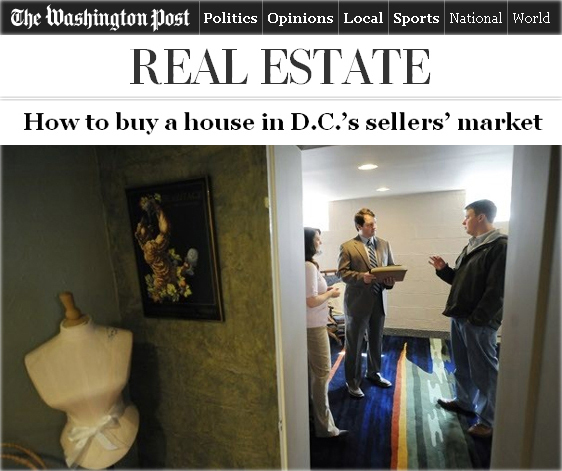 As seen on the front page of The Washington Post Real Estate Section and in Bloomberg Business News! Please call me at 301-REALTOR (301-732-5867) before deciding on an agent...I would love to interview with you. Read my Zillow client reviews and you will understand how I've helped clients in very challenging situations. I go the extra mile on every transaction and am confident I can exceed your expectations and redefine your perception of a real estate professional. I have over 20 years of experience in sales, marketing and advertising and my negotiation skills are a major advantage over working with other less experienced agents. I am a life-long Marylander and Montgomery County resident. I attended Sandy Spring Friends School for high school and graduated with a degree in Business Administration from Susquehanna University. Before becoming a realtor, I travelled and played golf professionally.